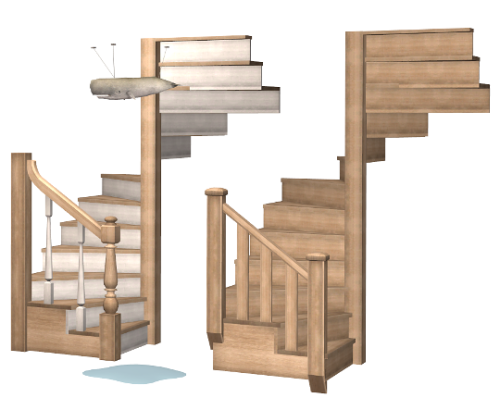 In this section you can find various stairs, staircases and ladders custom content downloads for The Sims 2. 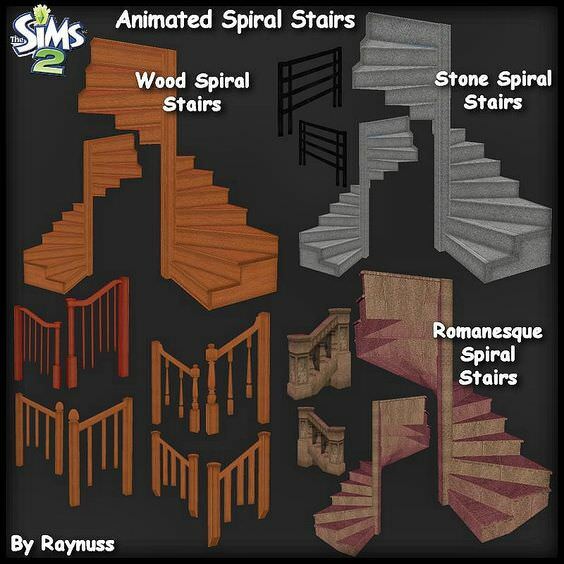 Description: A set of animated spiral stairs in three styles (Wood, Stone, Romanesque), in two versions (left and right), with 12 matching handrails and in 42 recolours. 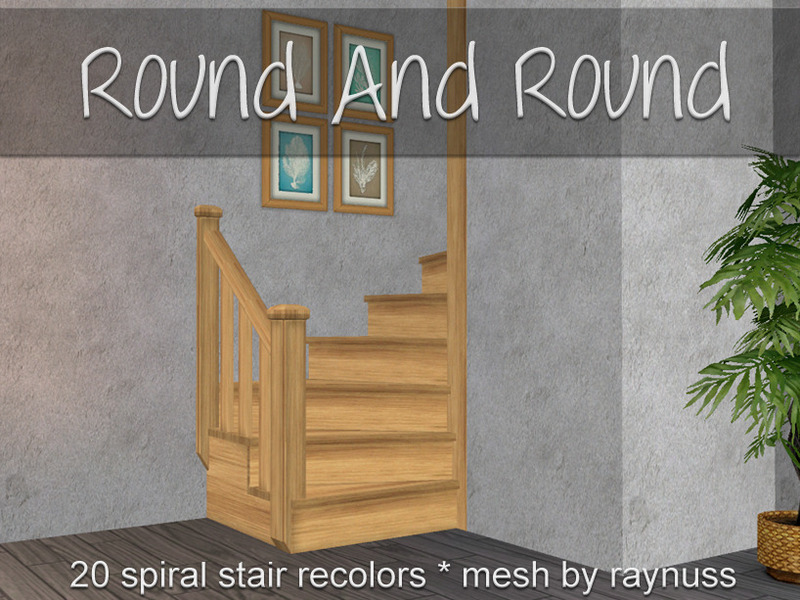 Description: Round stair corners slaved to recolorable modular stairs. 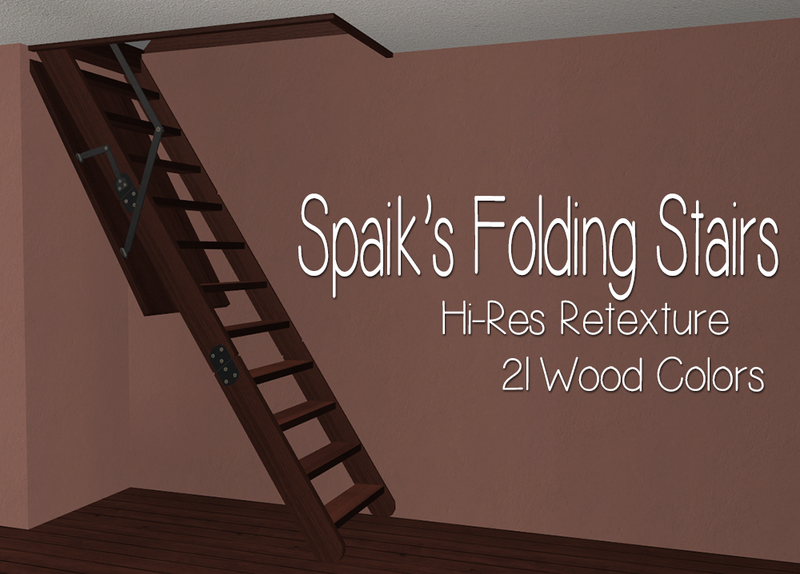 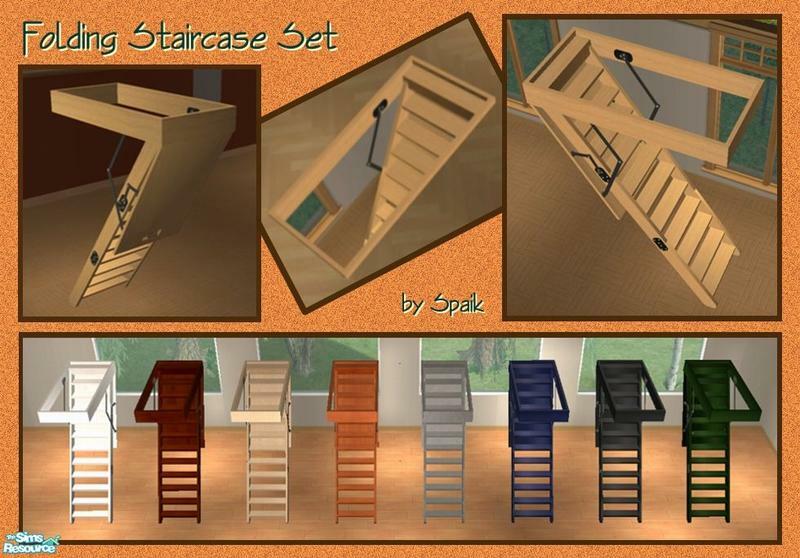 Description: Spaik's Folding Stairs retexture in 21 wood colours. 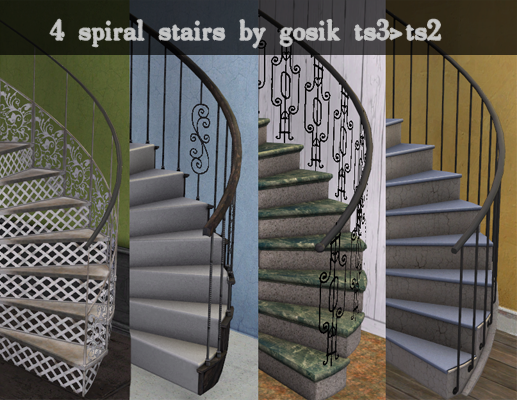 Description: Four spiral stairs converted from the Sims 3. 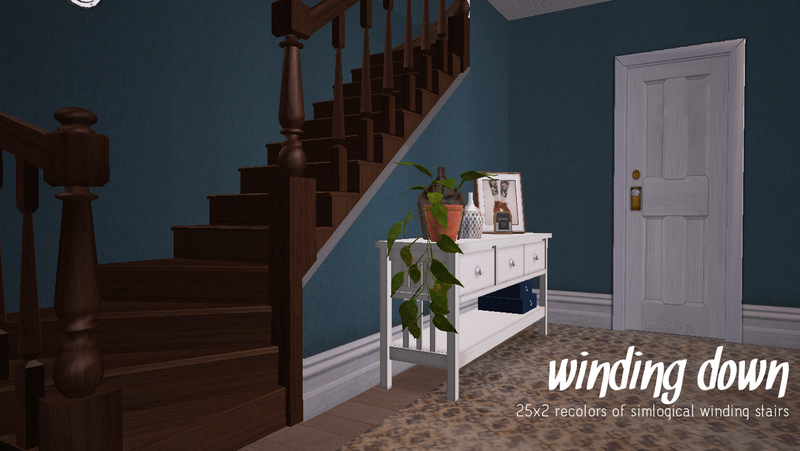 Description: Recolours of Simlogical's Winding Stairs. 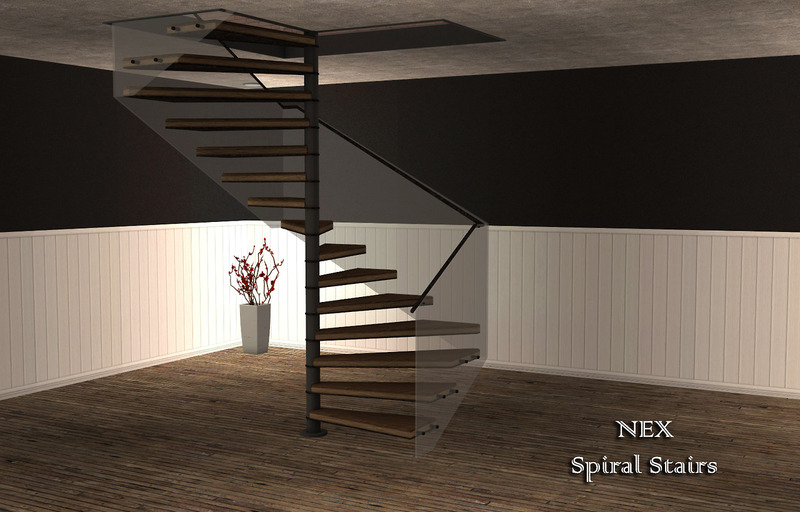 Description: NEX Spiral Stairs converted. 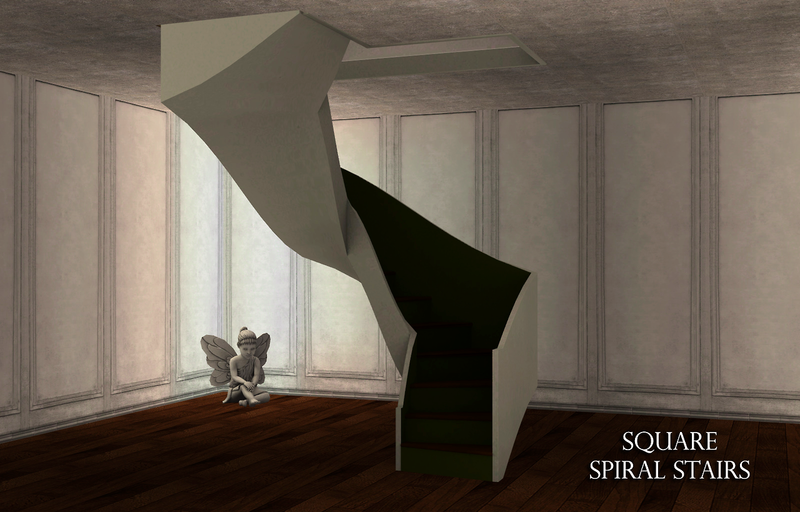 Description: Square Spiral Stairs converted. 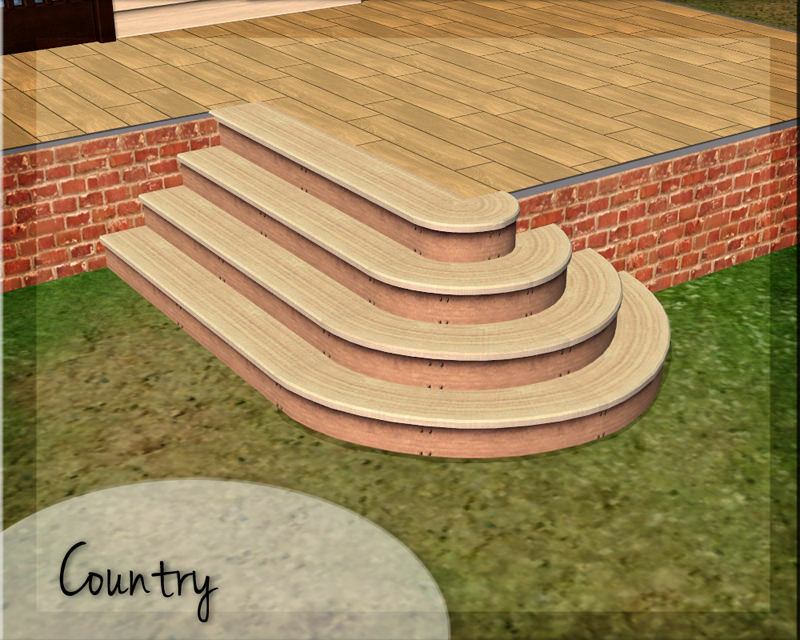 Description: Spiral stairs recolours in Pirate Wood.